NEW YORK — Legislators in nearly two-thirds of all states considered and/or enacted policies in 2014 intended to increase women’s access to sexual and reproductive health care and protect their right to make their own reproductive decisions, according to a year-end report released by the National Institute for Reproductive Health. Building Momentum: Proactive Reproductive Health and Rights Legislation in the States shows how advocates across the country last year advanced more state-based policies than in any session in recent decades. This new effort seeks to improve women’s reproductive health and reduce the harms caused by limited access to these services, which has been exacerbated by the regressive political and policy environment that has characterized so many state legislatures in recent years. The report documents more than 70 bills introduced in 32 states, more than 30 of which became law by the end of 2014, in an effort to highlight the legislative trends that are emerging in this growing state-based movement. 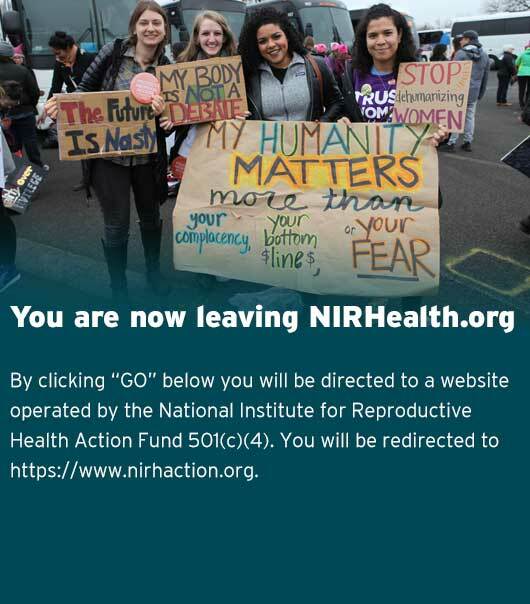 “The prevailing narrative has, understandably, been focused on the unprecedented onslaught of anti-choice restrictions that have endangered women’s health and undermined their most basic rights,” said National Institute for Reproductive Health President Andrea Miller. “But in 2014, we witnessed – and are proud to be supporting – a new strategy to turn that tide and lay the groundwork for a new direction in state-based legislation. The report describes that at least 30 states considered or enacted proactive reproductive or sexual health policy in 2014, in five key areas: protecting and expanding access to abortion and contraception; reinstating and improving insurance coverage for a broad range of reproductive and sexual health care; increasing access to sexual health care; improving the reproductive and sexual health of youth; and ensuring that women who do become pregnant have healthier pregnancies, healthier babies, and become healthier parents. Virginia’s Senate Bill 617, which would have repealed Virginia’s intrusive waiting period and highly unpopular ultrasound law, passed the Senate in a major victory for advocates. Even traditionally conservative states like Louisiana, Idaho, Utah and West Virginia passed proactive laws expanding access to health care services, studying teen pregnancy and HIV transmission, and protecting pregnant workers. California made gains across the board, passing an impressive eight new laws improving women’s health and rights, including enacting two laws improving health insurance coverage of contraception. “This report demonstrates the surge in positive, proactive initiatives led by advocates this year, which can present a popular, and much-needed path forward, even in some of the states historically most hostile to reproductive health and rights,” said Miller.